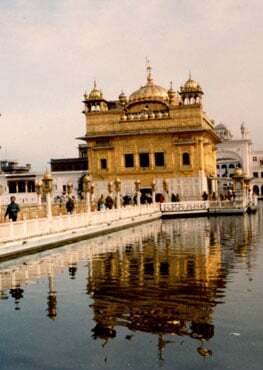 Amritsar, Punjab: Assamese Sikhs, who do not know a word of Punjabi, today visited Punjab for the first time in search of their roots to pay obeisance at the Golden Temple here. Most of them even boarded train for the first time, says PP Singh, an Assam-based journalist. 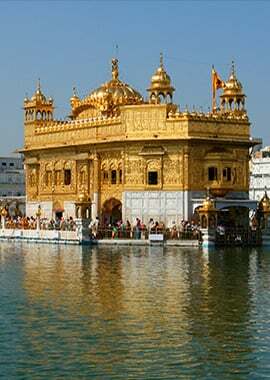 However, as they can read Gurmukhi, the Punjabi script, they can read and recite Guru Granth Sahib. They speak Assamese and generally follow the local code of conduct regarding food, social discipline and dress. But they are aware of their Sikh identity and do wear the five Ks. Interestingly, three Assamese Sikhs, including Waryam Singh, Lalit Singh and Amar Singh, are elected “Gaon Buddha” (sarpanches). Waryam Singh, Sarpanch of Lanka, said the Sikhs were popular among local people there. The origin of this small, but enterprising, community of Assam goes back to the reign of legendary Sikh ruler Maharaja Ranjit Singh during the early 19th century. His ally in Assam, Swargadeo Chandrakanta Simha, was facing an armed rebellion, following the intrusion of Burmese militants in the kingdom. Hearing about this, the Maharaja promptly dispatched a Sikh soldiers under the command of Chaitanya Singh to the rescue of his friend. Though some of the Sikh soldiers died after engaging in a fierce battle with the advancing Burmese troops, yet the surviving soldiers married local Assamese girls to settle there permanently. The band of Assamese Sikhs comprising 185 members including women and children are from Lanka and Barkola, the villages in Nagaon district of Assam where some Sikhs from Punjab set up an enclave for themselves around 1820. Giving details of their origin, Ravinder Singh Oberoi said the microscopic Sikh minority spread out all over Assam and had integrated themselves with the local populace and hence they are more close to Assamese culture than Punjabi. But they continue to retain their distinct identity as Sikhs. All Sikhs are “Gurmukhs” and don’t cut their hair. The pre-condition for their marriage is that they have to be baptized. They visit the gurdwara regularly and even have names that end with Singh. However, they hardly use caste or other surnames. Another Assamese Sikh, Chattar Singh said their womenfolk hardly wear salwar-kameez like other Punjabis and can be seen in the traditional Assamese gear. The womenfolk also brought musical instruments with them to perform Bihu dance of Assam in Amritsar and other parts of Punjab. Though most of the Assamese Sikhs are marginal farmers, having small land holdings, yet some of them have succeeded in getting government jobs, especially in the police. They said old canons or weapons used by soldiers of Maharaja Ranjit Singh were still preserved in gurdwaras there.